In Nancy Meyers’ 2000 hit What Women Want, Mel Gibson plays an alpha-dog ad executive who gains the power to read women’s minds after accidentally electrocuting himself in a bathtub, and quickly discovers that most of his female coworkers think he’s a massive tool: His aftershave stinks, and so do his jokes. But while that film’s mix of comeuppance, fantasy, and dating advice (learn to listen, get in touch with your feminine side, it’s not all about you) is far from profound, it looks like a model of storytelling when compared to What Men Want, a gender-flipped remake directed by Rock Of Ages and Hairspray’s Adam Shankman. 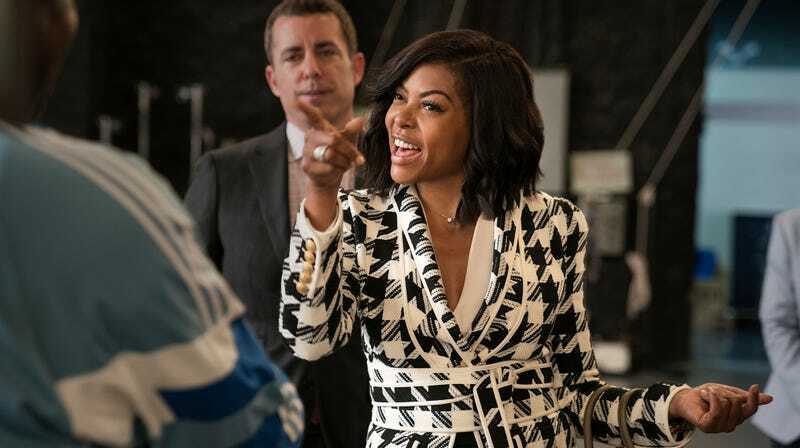 Set in the nominally macho world of pro sports management (one of a number of curious parallels the film shares with Steven Soderbergh’s new Netflix release High Flying Bird), the film casts Taraji P. Henson as Ali Davis, a career-minded agent who’s recently been passed up for a long-awaited promotion at an Atlanta-based company called SWM. The initialism stands for “Summit Worldwide Management,” but also describes most of the agency’s staff—a fratty boys’ club where Ali sticks out like a sore thumb. Sure, her client list includes an impressive roster of Olympic gold medalists, but she’s never represented a player in any of the major leagues. As her boss (Brian Bosworth) puts it, she doesn’t connect with men. So, to prove him wrong, she sets out to sign Jamal Barry (Shane Paul McGhie), the presumed No. 1 pick in the NBA draft—if she can get past his controlling, smoothie-obsessed dad and self-appointed personal manager, therapist, and urologist, Joe (Tracy Morgan). Supernatural help arrives in the form of a bachelorette party, where Ali is served drug-laced tea by a kooky fortune teller named Sister (Erykah Badu) and ends up getting knocked out by a big inflatable novelty dong while dancing to 2 Live Crew. (Badu’s space-case performance is far and away What Men Want’s most consistent laugh-getter, and the movie knows it; the end credits roll in between what’s basically a reel of her improv outtakes and deleted scenes.) Waking up the next morning, Ali soon learns that she has gained the power to hear what men are thinking—a fact that she keeps secret from everyone except her dutiful assistant, Brandon (Josh Brener), who has spent years handling Ali’s dates and dry-cleaning in expectation of a big promotion of his own. So what, exactly, goes on in men’s minds? In its funnier moments, What Men Want suggests that it’s a lot of nothing: They are walking around with “Cotton Eyed Joe” and “Escape (The Piña Colada Song)” stuck in their heads, trying to remember the names of cheeses or where they left their keys, worrying about why they accidentally said “I love you” instead of “thanks” to the delivery guy or whether anyone can actually tell a fake Rolex from a real one. Mostly, they think with and about their dicks. But though What Men Want is a much raunchier comedy than its predecessor, it is, in many ways, the same kind of bad movie: too damn long, with too many B-plots—including a romance with a handsome bartender (Aldis Hodge) who Ali tries to pass off as her husband to get closer to Jamal and Joe—and too much product placement. (What Women Want’s “brand integration” with Nike was considered notable at the time, but at least it tied into the story; the same can’t be said of this film’s insistence on having characters regularly offer each other Fiji bottled water while awkwardly referring to it by name.) And that’s without mentioning the listless athlete cameos that have somehow become the 2010s studio comedy’s filler of choice. Some of these pacing problems and lame gags might be excusable if the movie weren’t confused by its premise: A story about a man who needs to learn to be less selfish around women doesn’t work the same way when the genders are reversed. 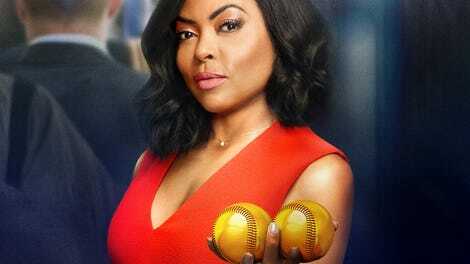 What Men Want tries to make the opposite point (i.e., that Ali needs to think less about what the men in her profession think of her), playing the mind-reading fantasy as one of empowerment. Yet, at the same time, it tries to replicate the earlier film’s redemption arc, all the while proving that it is more than willing to adhere to the same double standards it ostensibly pokes fun at. In the original film, the Gibson character’s path to better-guy-dom included learning to be a better dad to his teenage daughter. The most What Men Want can do to undercut Ali is to suggest that she might be too aggressive in the sack; the most clichéd flaws of male protagonists remain out of reach.